It looks as if Buakaw will have an opponent possible in Xu Yan. Xu Yan got initial attention internationally from K-1 MAX by fighting and beating Yuichiro “Jienotsu” Nagashima via a first round TKO from a left hook. Xu Yan has an established record fighting in Sanda rules matches in China. He lost his K-1 MAX debut to Se Ki Kim via Knockout in the second round. But will be presumably fighting Buakaw in Sanda rules. Sanda is not wholly unknown to Buakaw who has been a part of the Sanda versus Muay Thai challenge matches in the past. 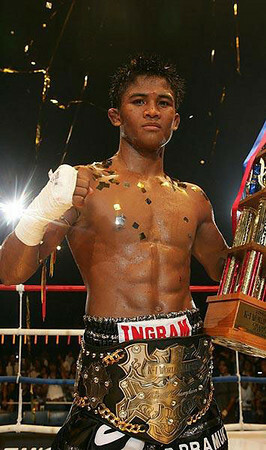 Buakaw took part in the Police Sanda versus Muay Thai event of 2003. And very easily beat his opponent Sun Tao. It should be interesting to see if this match coalesces into a reality since Buakaw will again be the visiting opponent. And since Buakaw just recently won a hard fought victory over the UK’s Jordan Watson at the MSA Muay Thai event at the Excel it could prove measure of how much Buakaw has remaining in the tank especially so closely booked as the match is. In any scenario Buakaw has been confirmed by Por Pramuk themselves to appear at Wu Lin Feng June 19th, 2010 in China. Buakaw has a very strong fan base in China and there is even a Por Pramuk Muay Thai Chinese gym having taken root in Shangqui City. It looks like Buakaw is continuing his fighting career internationally with K-1 MAX becoming an increasingly distant memory. His management continues to publicly affirm that Buakaw will return to K-1 MAX at some point. As for Buakaw’s first match against a sanda opponent: view it below. ~ by fatsoking on June 4, 2010.
and Saenchai VS Wang Wei at Wu Lin Feng same day. Not as much as you friend! Now, a trainer from Fairtex is helping Xu Yan now. interesting. Buakaw win , dicision . Xu Yan poor performence . Making a comparison between the 2 fights , I think Jordan Watson is a well-trained soldier , Xu Yan not. Saenchai lost , but no detail . Dear Blogger, there would be a launch on a kickboxing world series coming this month and i would like to extend the invitation to you, please kindly send me your details (name, e-mail address and contact number) so that we could keep in touch for future events as well.